With a little help from my Cricut and Cricut Iron On Vinyl, I was able to spiffy up a plain canvas bag and turn it into…A Market Bag for all my visits to our local Farmer's Markets. AND…wouldn't this a market bag make a great ‘Welcome to the Neighborhood' gift, filled with information about your local markets and products from the markets? One of the many joys of Spring and Summer are the Farmer's Markets that reopen! Ours close during the winter months, but are brimming with seasonal delights right now. I got it in my head that I would welcome the new season of the Famer's Market with a new Market Bag, especially for market days. This bag is nice and sturdy and quite deep, with the intent of this one bag holding all my weekly market purchases. And I was able to whip this bag out within an hour using my Cricut and Cricut Iron On Vinyl which very much satisfies my strong ‘needs immediate gratification' gene. Create your graphic in Cricut Design Space. I have attached the link to the graphic I made below if you'd prefer to use it. If you do design your own graphic, make sure to have all elements set to cut, make sure to weld your image and attach your image. Place the Cricut Iron On Vinyl, liner (shiny) side down on adhesive Cricut mat. Once image is weeded, set it aside. Wash and iron canvas bag. Place image, measuring to make sure it is center. Place light weight cotton towel over image and using a high temperature and no steam, place iron on image and hold in place for 25-30 seconds over each part of image. Turn bag over and slowly iron back side of bag, using firm pressure. SLOWLY pull film off of image, making sure all parts of all images are attached to bag. If any part is not adhered, place liner back over and iron that part. 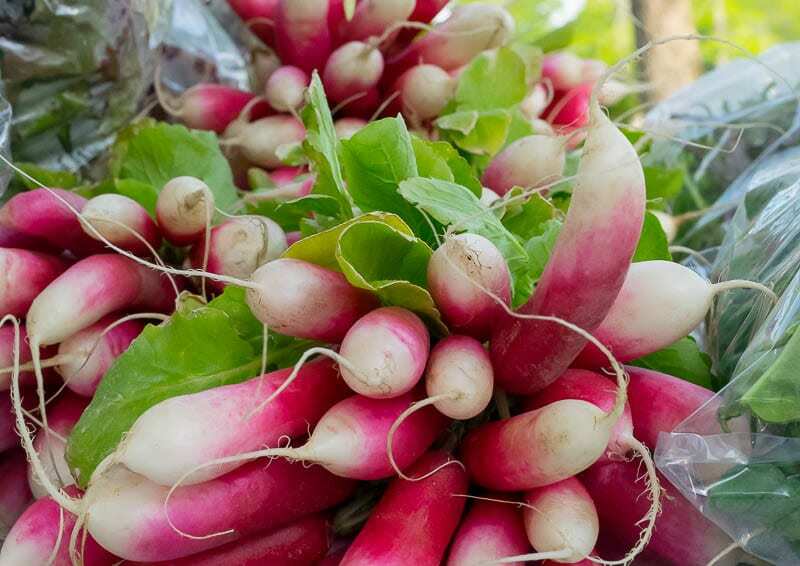 Take your bag to the Farmer's Market and fill it with all sorts of good stuff! Wouldn't this also make a great ‘Welcome to the Neighborhood' gift filled with information about your local farmer's markets and products from those markets? Definitely going to make some for that purpose! 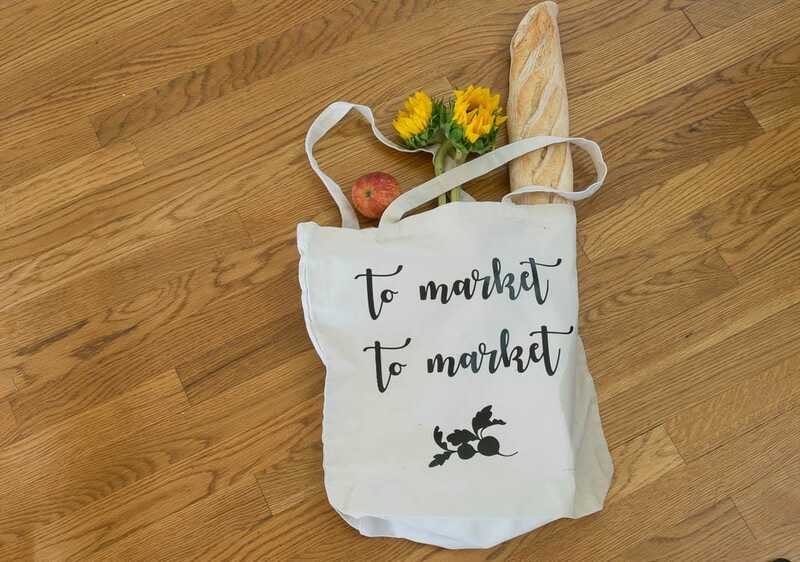 If you are wanting to spiffy up a market bag with Cricut Iron-On Vinyl for your Farmer's Market excursion, bookmark this page or pin it for your future reference. I haven’t washed it yet but I understand that it is washable. I would turn it inside out before I washed it. I’ll wash it soon and let you know.